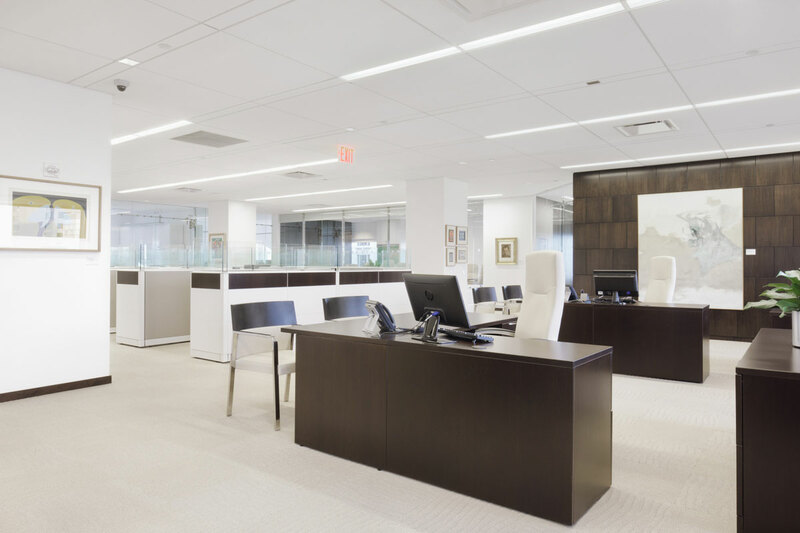 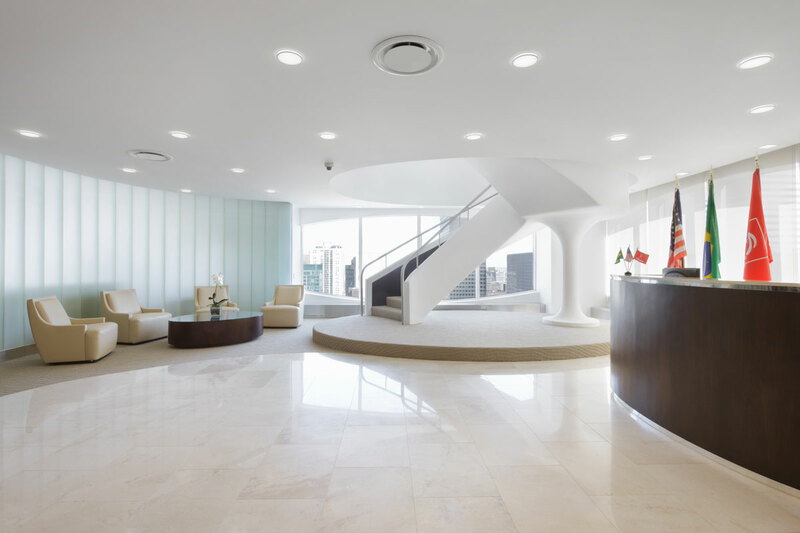 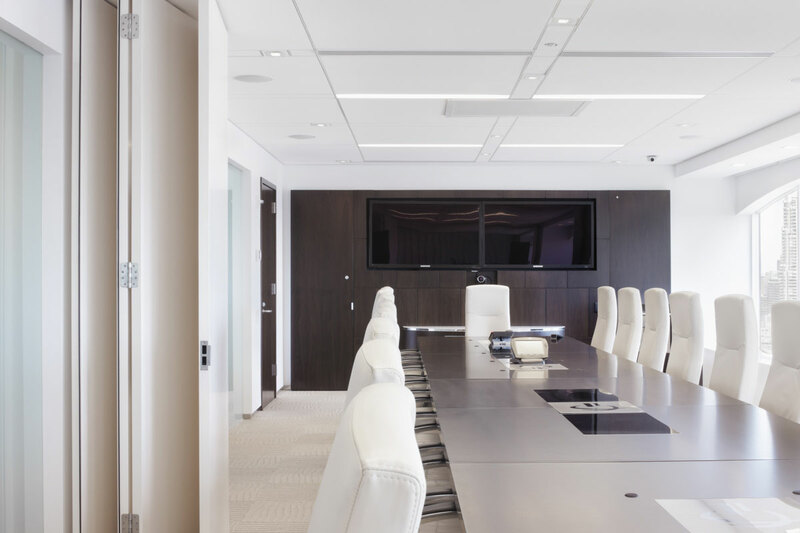 This multi-floor build-out transformed the executive offices of this financial firm. 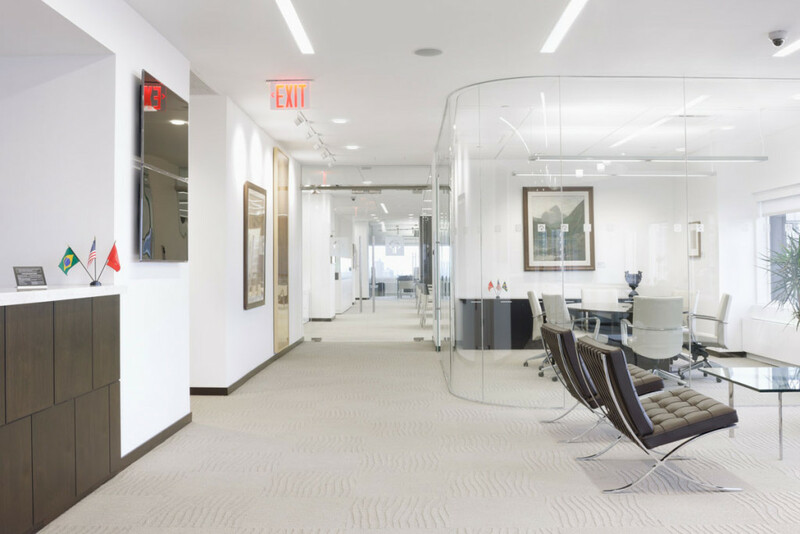 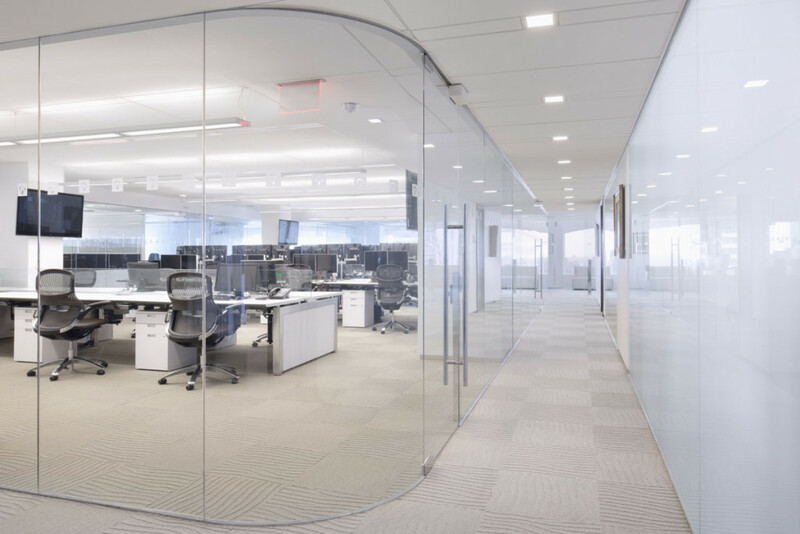 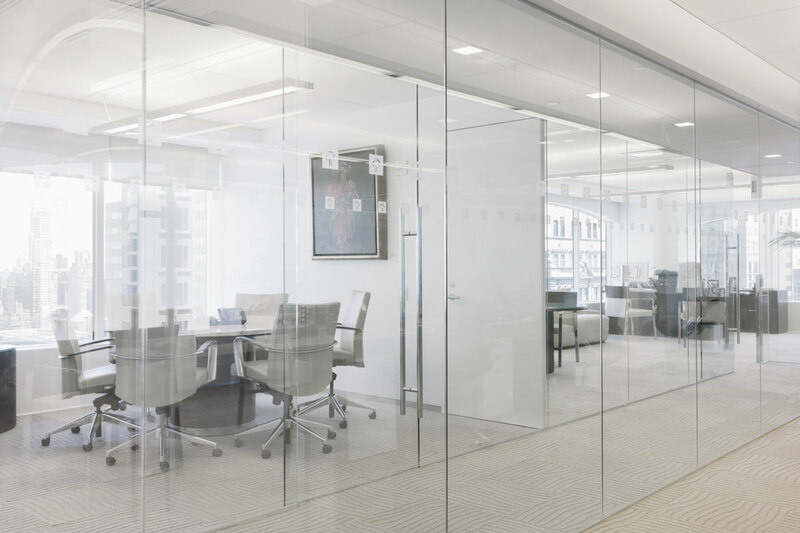 A light, airy aesthetic was achieved through a glass-enclosed trading area, a multipurpose conference room with a folding wall of wood panels, and a clear glass enclosure that can be made obscure at the touch of a button. 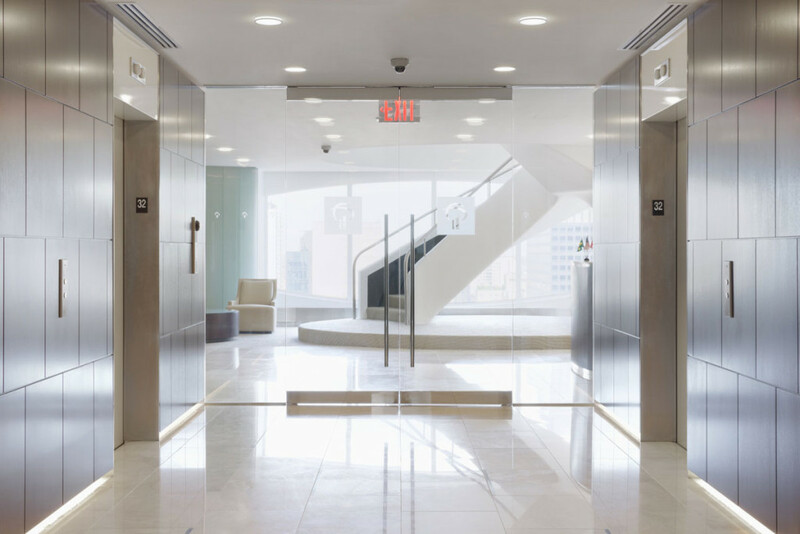 Other new features include renovated offices, conference rooms, and reception area, as well as a striking new finish to the existing internal stairway.